Depilox-100 (Amoxapine) is indicated for treating various psychological conditions, including depression, panic and anxiety disorders and bipolar disorder. The active ingredient in this drug belongs to a class of medicines referred to as tricyclic antidepressants, and it works by helping to extend the positive effects on the mood of any noradrenaline and serotonin released in the brain. 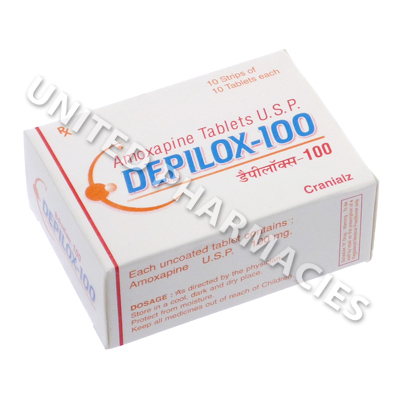 Depilox-100 (Amoxapine) is indicated for treating various psychological conditions, including depression, panic and anxiety disorders and bipolar disorder. The active ingredient in this drug belongs to a class of medicines referred to as tricyclic antidepressants, and it works by helping to extend the positive effects on the mood of any noradrenaline and serotonin released in the brain. Some doctors may prescribe it for treating schizophrenia. 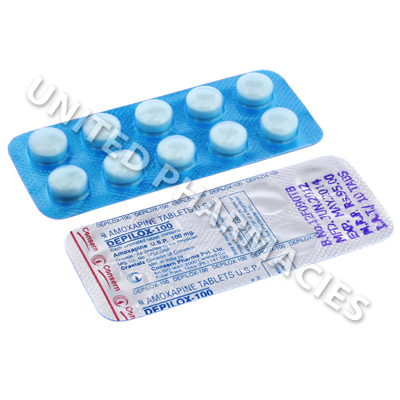 Depilox-100 (Amoxapine) tablets are administered by mouth. Adult patients may be told by their doctor to take it once (or more) per day. It is very important that you only take the amount that your doctor prescribes to you, and it is also worth noting that in some cases, your doctor may decide to adjust your dosage. In some cases, 3 weeks of treatment may be noticed before an improvement in symptoms is noticed. See your doctor if your symptoms have shown no signs of improvement after 3 weeks of taking this medicine. Notify your doctor if you experience any side effects. Immediate medical attention is required if you notice severely stiff muscles, fever, confusion, speech difficulties, shaking or any other signs of a serious reaction. There is a possibility that anti depressant drugs will cause suicidal thoughts in a small number of patients. Seek immediate medical care if this happens. This drug should not be taken alongside MAO inhibitors, or if a MAO inhibitor has been taken within the last 2 weeks, as this may cause a serious drug reaction. Always use Depilox-100 (Amoxapine) as you have been prescribed by your doctor. Never self-medicate or change your dosage without first consulting your doctor. The correct dosage can vary depending on your health, medical history, and the severity of the condition being treated.